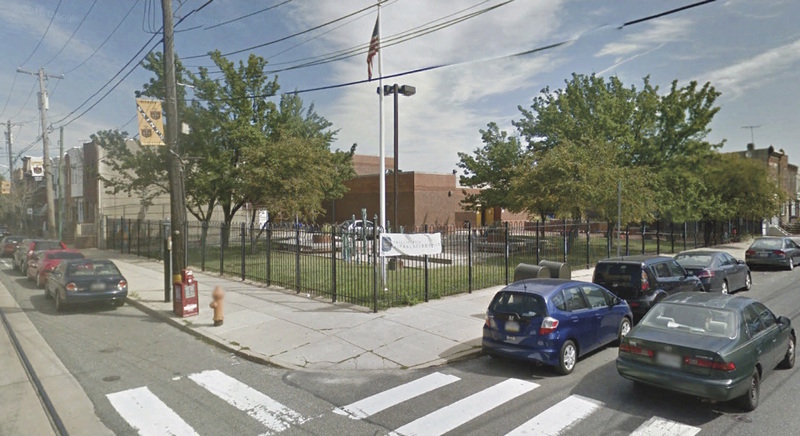 Franklin Delano Roosevelt Park, also known as F.D.R. 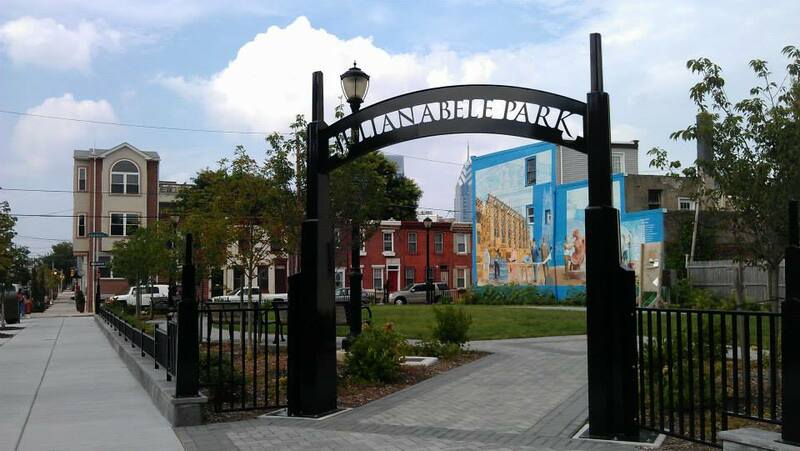 Park and “The Lakes,” has provided a green oasis for South Philly since the early 1900s. 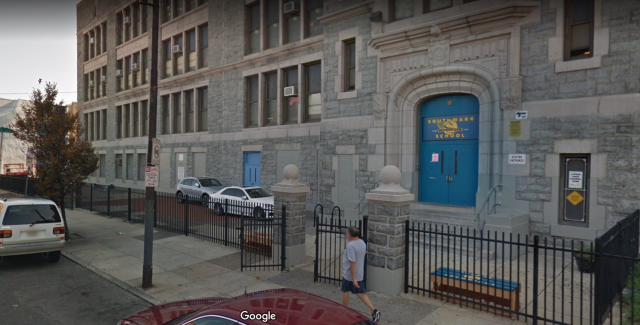 The park’s popularity, years of active use, flooding, and major projects like the construction of Sports Complex and I-95 have taken their toll on the park. 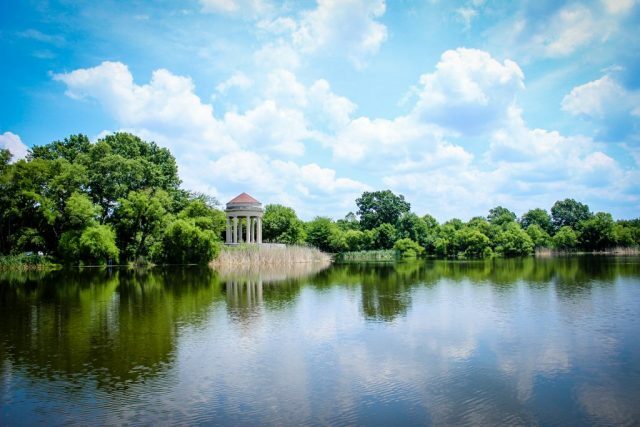 Now, the Fairmount Park Conservancy, in partnership with Philadelphia Parks & Recreation, is preparing a master plan for the 348-acre park – and they’re seeking your input. They’ve also just released a call for artists for a temporary environmental art installation. The Overlook on Edgewood Lake, FDR Park. Courtesy of the Farimount Park Conservancy. Over the years F.D.R. 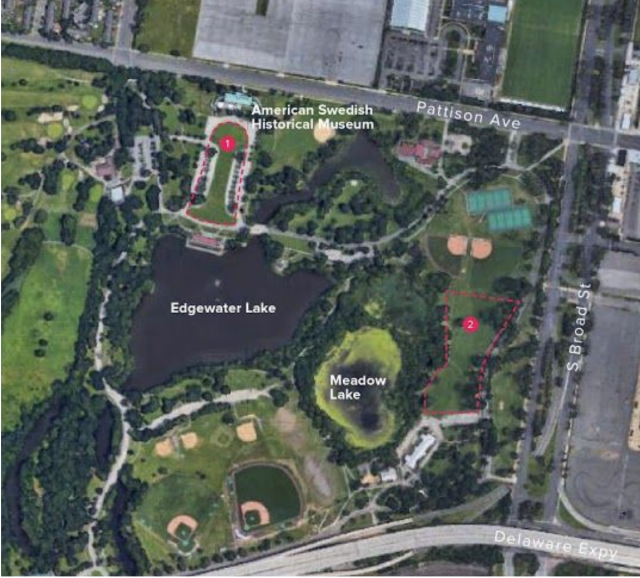 Park lost approximately 32 acres of parkland, including a running track, a picnic shelter with fireplace, several heavily used picnic areas, a soccer field, a volleyball court, a children’s playground, the Melville Memorial and 649 mature trees. Running track? Volleyball court? Soccer field? More trees? Yes, please! 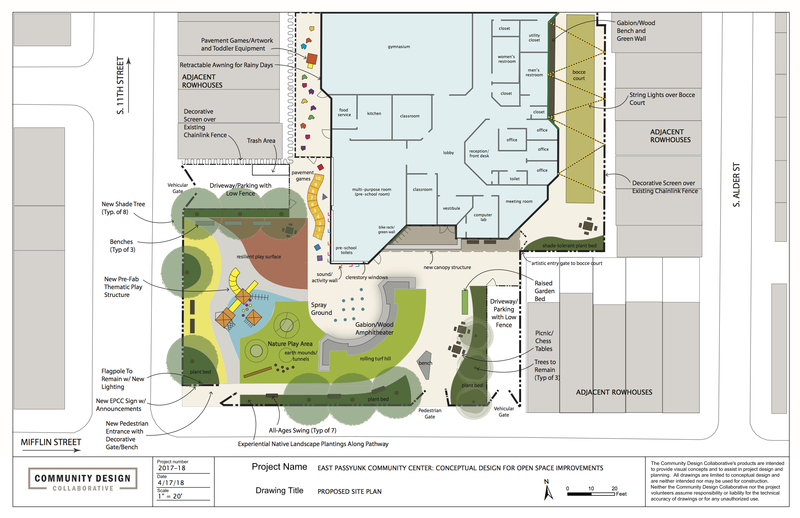 According to the Fairmount Park Conservancy, “the goal of the master plan is to revitalize the park, restoring it back to its original intent as an urban oasis for people as well as plants and animals, and create a shared vision for the park’s future.” Part of this process involves collecting extensive community input. 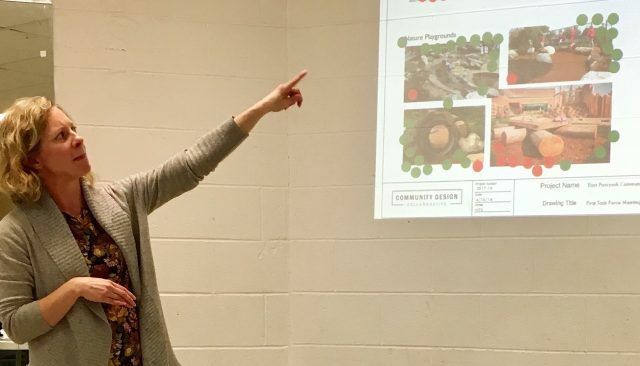 A public meeting was held in June and an online survey was created. Public meeting participants. Courtesy Fairmount Park Conservancy. This Fall, the Conservancy is seeking an artist or team of artists to create an outdoor environmental art installation or interactive experience. 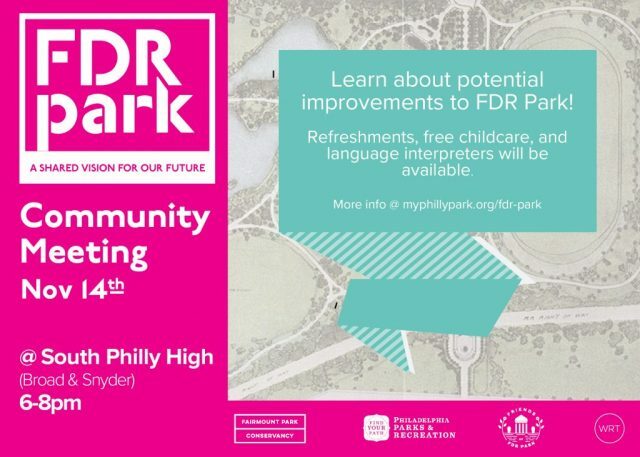 The goal is to “invite visitors and community members to engage with the relationship between FDR Park and climate change.” Artists may submit ideas for participatory projects, installations, sculpture, and multi-disciplinary interventions that engage FDR Park users. Suggested locations for the art installation (outlined in red). The project must be installed or activated by Friday, October 19, 2018. A stipend of $4,000 will be allocated for the artist/artist team. 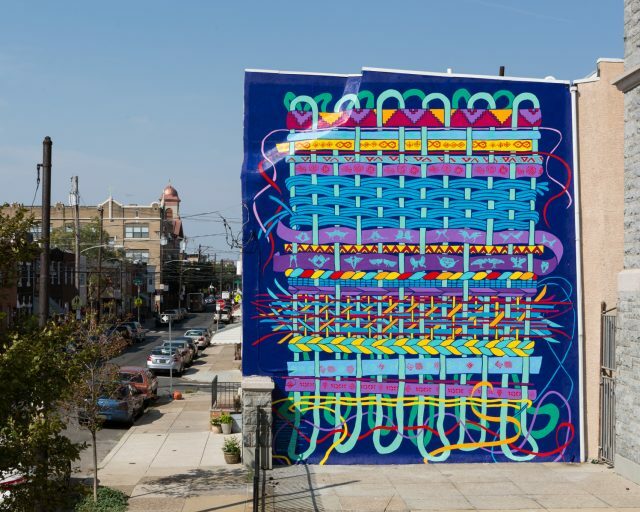 This commission is part of the Arts and Culture Program at the Conservancy, supported by grants from CUSP at The Franklin Institute and William Penn Foundation. 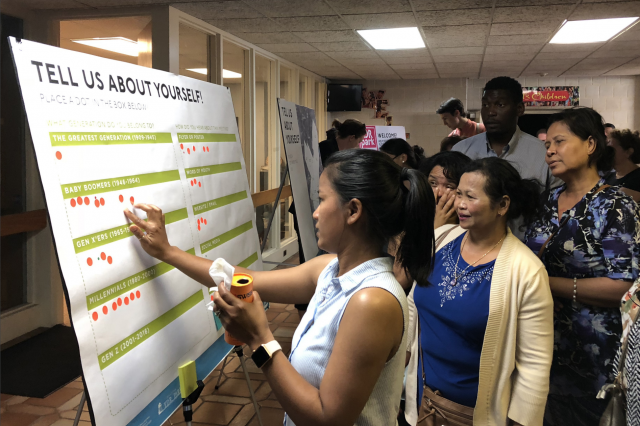 Take the FDR Park user survey to let the Conservancy know your thoughts on the future of FDR Park. Apply to the call for artists. 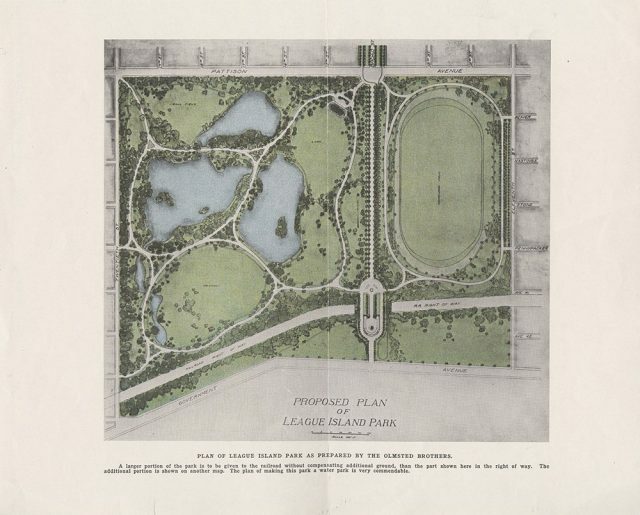 Read more about FDR Park’s history.